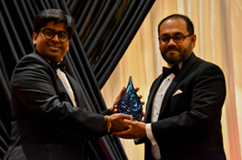 The CISO Awards were created to identify and celebrate the amazing work being done around the world by executives dedicated to improving the information security of their respective companies, governments, and organizations. 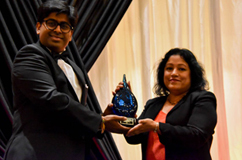 The award finalists and winners are selected and voted on by two committees integral to the success of EC-Council’s CISO program – the CCISO Advisory Board and the CISO Events Board. Finalists and winners are selected via an anonymous judging process without input by EC-Council staff. Finalists for the 2017 awards will be announced every month starting in January 2017 leading up to the announcement of the winners at the CISO Awards Gala in Atlanta, GA on the night of October 8th, 2017. Each finalist will be interviewed on the Global CISO Forum Podcast and featured in an article posted on the CISO website. As the CISO of Microsoft India, Mr. Manish Tiwari has established a Cyber Security Engagement Center in India, the 7th such Microsoft facility in the world. He also set up a Cyber Security Practice and is the co-author of the Cyber Security Check list by IDRBT for compulsory compliance by Indian Banks. Hear his interview on the Global CISO Forum Podcast by clicking on the red button above! 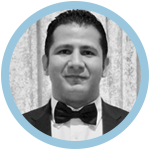 Youssef Elmalty is an internationally renowned cybersecurity expert with deep specialization in defense-in-depth strategies and cybercrime investigation tactics. Youssef has been featured on the news, conferences, summits, and universities as a thought leader in cybersecurity. Based out of Singapore, Youssef is currently the global cybersecurity architect for IBM Global Technology Services, and he provides thought leadership across multiple Security Consulting & Delivery domains. That includes Security Strategy, Risk, Compliance, Security Assessments and Incident Response. Youssef helps clients from various industries such as government, defense, and telecommunication build their cyber security maturity programs. Youssef holds numerous professional and industry-recognized certifications. Academically, Youssef holds a BSc in Computer Science from Middlesex University and an MSc in Security Science from EC Council University. John Christly currently serves as the Global Chief Information Security Officer for Netsurion and EventTracker. He leads cybersecurity and compliance efforts which provide support to in-house corporate teams, as well as customers and partners. 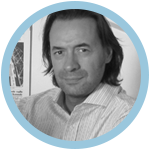 John brings a proven track record in creating new product offerings, rapidly scaling product sales, and developing partner eco-systems that drive revenue growth. He possesses a wealth of strategic experience and operational capabilities with an emphasis on sales and business development across various verticals. He has over 27 years of industry experience including general management, revenue growth and retention, go-to-market strategy, product development, business operations, and cybersecurity strategy. He brings extensive cybersecurity expertise in both cyber attack detection, prevention, and response as well as computer, mobile, cloud, and social forensic analysis. John formerly served as the CISO and HIPAA Security Officer for Nova Southeastern University in Florida. He was also the co-founder and CEO for OMC Systems, a Florida-based cybersecurity advisory firm. He also served as the HIPAA Security Officer for Memorial Healthcare System, a multi-hospital public healthcare system. As Chief of Security, he also created and led the computer forensics division for eTERA Consulting, a firm located in Washington, D.C. that served AMLAW 100 clients. He is an MSI Senior Fellow™ and holds various certifications including the ISC2 CISSP, PMP, Certified Fraud Examiner, AccessData Certified Examiner, HIPAA Security Specialist, Lean Six Sigma Master Black Belt, Certified Kaizen Facilitator, Certified Anti-Terrorism Specialist, and is a Licensed Private Investigator. 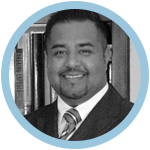 His experience includes several industry regulations including HIPAA, HITECH, GLBA, FERPA, FCPA, FIPA, and PCI DSS. He has extensive experience as a software developer having developed an enterprise incident management software, an IT configuration management database system, a vendor vetting application, as well as a patient privacy monitoring solution. As an accomplished author and blogger, his articles have appeared in publications such as Security Magazine, Executive Insight Magazine, 24/7 Magazine, and the ISSA Journal. He is frequently quoted in industry news sources, and is often a keynote and panel speaker at international, national, and regional events. 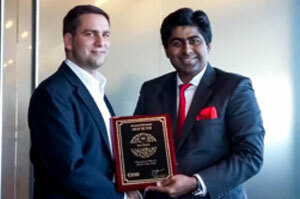 Sumit is the Senior Director & Head of Information Security and Risk Management at Edgeverve (Infosys). 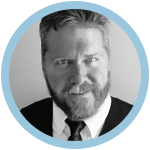 He has extensive experience in leading large InfoSec, Risk & Resilience programs. He specializes in building world class security service lines from scratch, creating high performance teams and driving business objectives via various Information Security programs. In his current role at EdgeVerve, he is responsible for product and enterprise security. Prior to EdgeVerve, he was with HP where he conceptualized, developed and grew the Infosec, Risk and Resilience consulting service from scratch to a multi-million dollar practice. Before HP, he was a manager at Ernst and Young, advising CXOs on a variety of security, risk management & compliance related challenges. Sumit is a part of the Reserve Bank of India’s working group on Cyber Security assessments and is also the adjunct faculty for Cyber Security at IIIT-B. He has been invited as a speaker at various large global conferences, seminars and summits. He has been recognized by various leading organizations for his ethical and responsible disclosure of security vulnerabilities. His articles on security have appeared in various reputed international journals and he is the author of multiple books, one of which is an Amazon bestseller. Mr. Heath Renfrow serves as the Chief Information Security Officer, for Army Medicine. He is responsible for providing cyber-security oversight for 48 worldwide medical treatment facilities, 600 medical clinics, 104 dental clinics, 700,000 medical devices, 122,000 facility control devices, and 120,000 personnel. Expert technical expert, and serves as the authority on Cyber Security for all of Army Medicine. He has 18 years of cyber security/information assurance professional experience. He holds Bachelors in Science in Information Technology, and a Master’s of Science in Cyber Studies. Mr. Renfrow also holds numerous industry leading certifications, including Certified Information Systems Security Professional (CISSP), Certified Chief Information Security Officer (C|CISO) and Certified Ethical Hacker (C|EH). 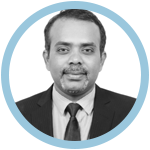 Ashvin Parankusha currently serves as Risk and Compliance Leader and heads Security, Identity/Access Management Risk and Compliance portfolios for one of the Top100 strategic accounts of IBM. 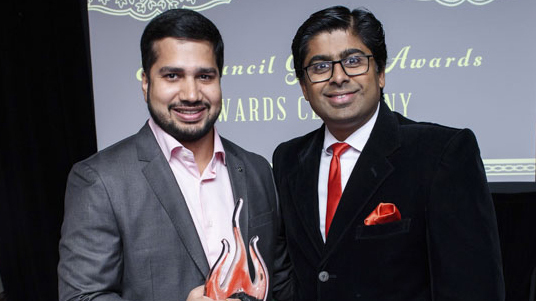 As a CISO for the engagements covering one of the largest telecom client in India and a Group Bank, Ashvin leads and accounts for the entire IT GRC, Security advisory and Resilience. Currently focused in Cyber security initiatives while driving automations and adoption of cognitive technologies in multiple areas of Security and Resilience to achieve Optimal Risk and Technology transformations as part of Delivery excellence. He has delivered RBI framework mapping to IBM Security Delivery & Secure Application/Tool lifecycles while enhancing current maturity and Triage capabilities to set benchmark threat protection initiatives. Ashvin comes with a progressive Security, GRC & Delivery experience in leading strategic Business, Technology and Change transformations fueled by 21+ years of formal education, experience in 10+ domains and a proven track record of building right sized solutions and specific programs for a range of industry-leading organizations (Fortune 100). Ashvin has been an innovative thinker with aptitude to transmute complex needs to simple and implementable tactical, technical, custom requirements. 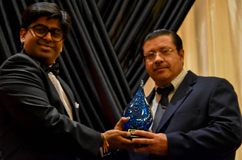 Ashvin has earlier served as Director- Information Security with GalaxE Solutions and as a CISO has successfully transformed Global initiatives to deliver GRC, Business Continuity, Cyber Security and Executive Protection. This covers various assurance and advisory offerings and operations at enterprise level and Customer levels catering to Fortune 5 Health care & Pharmaceutical Clients in ODC based and SaaS models of delivery covering NIST, HIPAA, ISO & other standards. 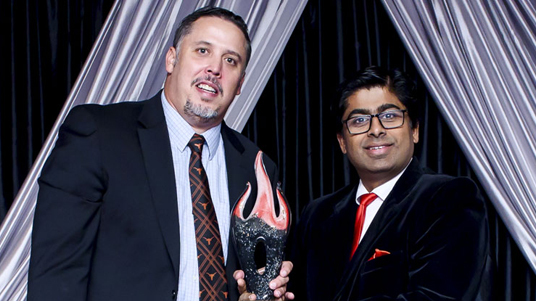 He has headed multiple start-up and Niche organizations for Security that covers his experience as CISO for Asia’s largest Tier 4 Datacenter, providing Risk Advisory or various global customers in India, Middle East, USA and Asian markets. 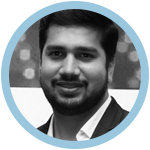 As a GRC evangelist Ashvin has worked with Partners and Big 4’s to design and develop various Risk, Governance and Cyber security frameworks for multi data-centric, Cloud and mobile based offerings adapting multiple standards and best practices covering SSAE 16, PCIDSS, AT 101 standards & Regulatory mandates. As part of earlier tenures he had been involved in R&D and Secure Engineering activities to develop functional/technical requirements and have driven CoE initiatives. His contributions include develop/enhance Product(s) in the areas of Security covering GRC, IAM, SIEM, DTH Billing & Subscription, OHSS, HIS, PII Protection and other Security/GRC/Privacy/Resilience platforms. 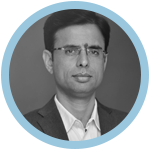 Ashvin has led intricate integrations of Key Business Objectives, Processes and Technology through deploying multiple unified & federated frameworks that has led to success of various global programs and turn-key projects. He has delivered key-note addressing and participates in CSR initiatives while has been recognized for contribution to Global Security Work force and the industry by leading organizations & Governing bodies. 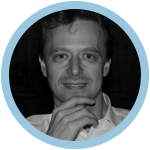 Mr. Patric Versteeg, credits obtaining the CCISO designation with rising to the level of CISO for Novamedia, the governing organization for the biggest charity lotteries in Europe. With offices in UK, NL, Sweden, and Germany, Novamedia is the world’s third largest contributor to charities. 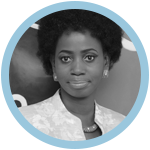 As CISO of the Nigerian Stock Exchange Ms. Favour Femi-Oyelole brought with her a depth of skills spanning a wide range of industries and sectors. She is incredibly self-driven, motivated, positive, and innovative. She started the information security department from scratch at The Exchange, delivering 20 policies within 6 months of joining. 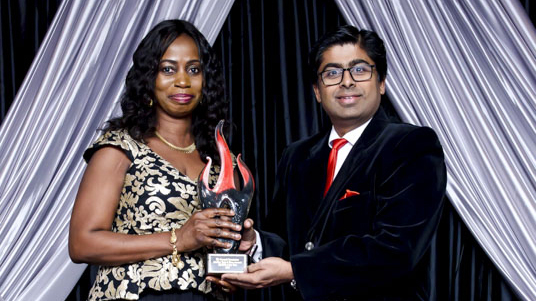 Now managing over 120 such policies, she has consistently raised the bar of security awareness across the organization and market participants. Her interview on the Global CISO Forum will be coming soon! security, operating system security, web application security, internal IS Audit. Tobias Gondrom is the CTO Security at Huawei, responsible for the security of Huawei’s products and solutions, among them SDN, NFV, IoT and more. He is a global board member of OWASP (Open Web Application Security Project, with 40,000 participants, over 200 chapters and 3 major global AppSec conferences) and former chairman until December 2015. 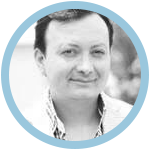 He has about 20 years of experience leading global teams in information security, software development, application security, cryptography, electronic signatures and global standardization organizations, working for independent software vendors and large global corporations in the technology, financial and government sector. And he holds the most senior business degree from London Business School, the Sloan Masters in Leadership and Strategy. Over the years, he has trained and advised more than a hundred CISOs and senior information security leaders around the world on the management and organization of security teams and programs. Since 2003 he is the chair of working groups of the IETF (www.ietf.org), including the current chair of the DOTS (DDoS Open Threat Signaling) WG, a member of the IETF security directorate, and since 2014 member of the IETF Administrative Oversight Committee (IAOC) and the chair of the IETF Trust. 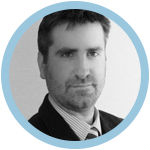 He has been in a number of project and chapter leadership roles for OWASP since 2007. Currently, he is serving as global board member, leading the OWASP CISO Report and Survey project and a contributor to the OWASP CISO Guide. 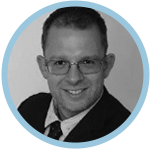 Mr. Gondrom has also been serving as a member of the NIS Platform of the European Commission, advising the European Union on Cyber Security and Risk Management. He serves on the board of the CSA Hong Kong and Macau chapter and was an ISC2 CSSLP and CISSP Instructor. Tobias has authored the Internet security standards RFC 4998, RFC 6283 and RFC 7034, co-authored the OWASP CISO Guide, OWASP CISO Survey Report and the book Secure Electronic Archiving“ and is a frequent keynote speaker at conferences and author of articles on security. Over more than 35 years, Bob van Graft has acquired a wealth of ICT knowledge and experience at the Dutch Ministry of Defense, the Dutch Ministry of Security and Justice and now as CIO and Director of Information Technology at VU Amsterdam – one of the top 5 Dutch universities according to the Leiden Ranking 2016. Every day, there are about 30,000 users – employees, students, researchers – active on the network of VU Amsterdam. Safety is therefore a must, just like a 24/7 availability. Business continuity, security and talent development are key words for Bob in this proces. As CIO and Director of Information Technology, Bob is always looking for new ideas and stimulating his staff to bring the network, infrastructure, security, applications, customer support, desktop engineering of VU Amsterdam to the next level. Be a frontrunner, is his credo. 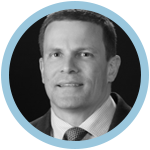 Craig is currently the Vice President and Chief Security Officer at CDK Global. A native of England, Craig joined CDK with over 15 years of experience leading security across both the public and private sectors. 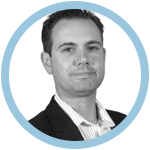 Craig started his career with British Military Intelligence and has more recently held CISO and CSO roles for various global companies including Arriva Group PLC, Wolseley Group PLC and Monster Worldwide. Craig has spent 15 years building holistic security functions that combine the range of security disciplines under a single effective function. His wide ranging experience has allowed him to build truly business aligned security teams that achieve demonstrable results in risk reduction and demonstrate an ability to align security as a differentiator in the market place. 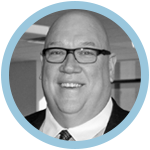 Craig brought to CDK extensive security experience and qualifications, including being a Certified Chief Information Security Officer (CCISO) and a Certified Information Systems Security Professional (CISSP). He lives in Fareham, England with his wife Kerry and their two young children. In his spare time, he is an avid runner, having competed this year in a number of Ultra-Marathons. Craig’s rare combination of business experience and expert security knowledge consistently allows him to demonstrate the ability to position security as a business enabler and not simply a ‘cost centre’. An enigmatic and inspirational leader in the field, he is often called upon to represent his views in industry leading publications and through high profile speaking engagements. 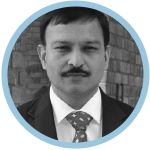 Vijay Haripal has more than 16 years of IT, security leadership and architecture experience with global enterprise-level organizations in various industries such as financial, medical, pharmaceutical, higher education and manufacturing. Haripal currently serves as solutions director for Optiv, a market-leading provider of end-to-end cyber security solutions. In this role, he is responsible for leading and enabling a team that advises clients on their security solutions architectures. 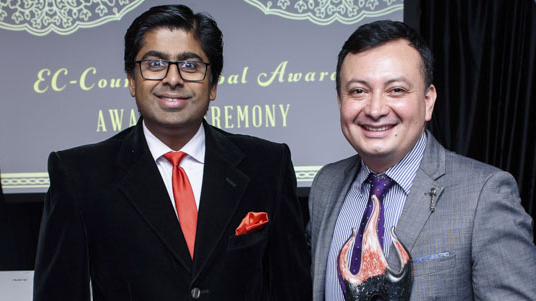 Haripal learned early in his IT career that he had a passion for information security. Since then, he has focused on security and risk strategy, tactics, infrastructure, regulatory compliance and IS audit. He has a strong understanding and knowledge of IT governance, IT infrastructure and applications as well as regulatory compliance such as GDPR, FISMA, SOX 404, GLBA, OCC, FFIEC Standards, HIPAA and internal/external audit processes. Mr. Mazzola is an accomplished security executive with over twenty years of experience managing global cyber security centers, building enterprise risk management programs and leading cross-functional security teams. He is currently the Executive Director of Global Cybersecurity Operations for Las Vegas Sands Corp., a Fortune 500 company based in Las Vegas, Nevada. His responsibilities include a global portfolio of Incident Response, Threat Intelligence, Digital Forensics, eDiscovery, Data Loss Prevention & Investigations, Cyber security Engineering as well as multiple Security Operations Centers (SOCs) strategically positioned throughout North America and Asia. He currently serves on several boards and committees for publicly traded companies and institutions of higher education advising them on cyber security programs and industry best practices; including Guidance Software, University of Nevada Las Vegas, Dartmouth College, Southern Utah University, Cyber Strategies Corp., SNCA and ISC2. Additionally, he has worked to advance cyber security training and education programs as a Professor with the University of Maryland, Instructor at Amgen University, key advisor for the Cyber Education Program and co-author of the Information Security Management Handbook, Seventh Edition. Cory has held leadership positions with industry-leading companies such as IBM, Verizon Business, General Dynamics, Computer Sciences Corporation, FireEye-Mandiant, U.S. Air Force, U.S. Department of Homeland Security, Amgen, University of Maryland and the Royal Bank of Canada. He managed national cybersecurity operations for the federal government in Washington DC and developed global cyber security incident response programs for the United States military. Additionally, he has helped build major cyber centers for governments and financial institutions around the world. 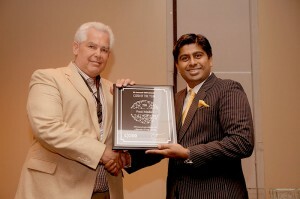 He is a regular contributor to several publications and guest speaker at industry events and international conferences. With faculty and fellowship posts, he regularly hosts cyber security training academies and workshops with international schools, universities and training organizations. Cory has an M.S. In Information Assurance, B.S. in Information Systems Management and several key industry certifications – GIAC/GPEN, CISSP, C|CISO, MCSE, etc. 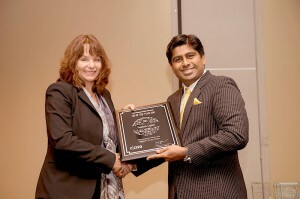 He also has advanced certifications from Cornell University, Carnegie Mellon, Stanford, Harvard and Dartmouth College. Marco has 20 years of experience in international security consulting and management, encompassing all areas of security. He is author of two books on security, guides and several articles for main italian Security IT magazines. 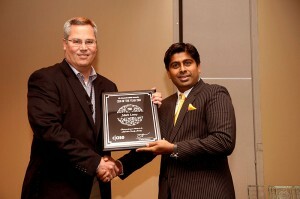 He invented brand new services for security awareness, security compliance and risk management. 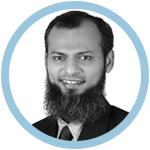 He started his career in security late in 1995, working firstly for local companies where he had the opportunity to develop from scratch security functions and security portfolios with great success. Later he moved to international security consulting companies as Principal Security Consultant where he was asked to support customers in almost all continents. In this role he worked with enterprises and foreign governments to increase their security posture in the areas of compliance, risk management and technical countermeasures. More recently Marco took over the responsibility of the Italian security consulting function of a telco company as Head of Security Italy, where he managed to push and optimize the security proposition. Actually he is Senior Enterprise Security Architect for a well known international company for which he is responsible for South Europe and Middle East. Sean Walls currently serves as the Sr. Director of Information Security for Presidio, a global IT and security integration solutions provider. He leads all aspects of cybersecurity, compliance, and risk management, with the goal of aligning Presidio’s security program with business priorities. 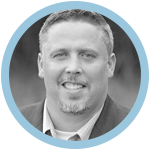 Sean has a 22+ year record of accomplishments ranging from launching an Internet Service Provider division, to building a national cybersecurity and compliance consulting business. He has a demonstrated ability to develop go to market strategies and aligning internal and external resources to execute and achieve successful business outcomes. 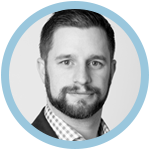 In addition to his business acumen, Sean possesses deep expertise in cybersecurity, risk management, compliance, security governance, and security program development. He has held leadership roles for several large integrators such as Presidio, BlackBox, and MTM Technologies, and has had the privilege of consulting for many fortune 100 and 500 companies over his career. Sean has previously held roles ranging from Principle Security Consultant to Director of Cybersecurity, and has recently been promoted to Sr. Director of Information Security to oversee security and compliance for Presidio in preparation for their IPO. He has successfully revamped Presidio’s security program to ensure compliance with SOX, PCI, HIPAA, and to align with ISO 27001 and the NIST Cybersecurity Framework. Sean has two undergraduate degrees, as well as an MBA from West Chester University, and maintains numerous certifications including, CCISO, CISSP, CISA, CISM, CEH, CCNP, and PCI QSA. He has years of experience in ethical hacking, social engineering, compliance auditing for PCI DSS and HIPAA, risk assessments, and risk management, as well as policy development and implementation. 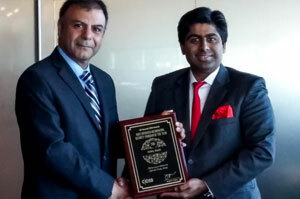 He is frequently requested as a keynote speaker for security related events around the country. Some of his latest speaking engagements include the 2017 Orlando ISSA Security Seminar, the 2016 Shriners IT Symposium, Ask the Expert 2015 & 2016, Tech Know Seminars in 2015 & 2016, and Exchange 2014 & 2015. Sean currently lives with his wife and 10 children in the heart of Lancaster County Pennsylvania, approximately 60 miles outside of Philadelphia, where he gives back to his community through various volunteer positions. He has also served outside of the United States on humanitarian missions bringing aid to countries such as Grenada and Honduras. 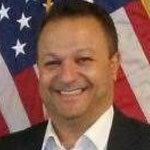 Mike Santos is the Director of Security and Information Governance at Cooley LLP. He works with firm leadership and information services to establish and maintain policies, frameworks, systems and controls to govern and secure Cooley’s information assets. Mike has over 20 years of experience in leadership, team building, information technology operations, risk and security governance, and management. At Cooley Mike built and is responsible for maintaining an ISO 27001:2013 certified Information Security Management System. His team maintains security policies, procedures, and controls that service over 2000 people worldwide. Prior to Cooley, Mike served as an officer in the United States Navy aboard the USS SQUALL (PC-7) and USS ANCHORAGE (LSD-36). Mike is a graduate of the United States Naval Academy and holds a Bachelor’s of Science in Economics and a Master’s in Business Administration. Mike also holds industry leading certifications, including, Certified Chief Information Security Officer (C|CISO) and Certified Information Systems Security Professional (CISSP). Blake Holman is currently Chief Information Officer and HIPAA Security Officer at St. David’s Foundation in Austin, Texas, a position he has held since September, 2015. Prior to St. David’s Foundation, Blake served as Sr. Vice President and Chief Information Officer at Ryan, LLC in Dallas, Texas. Blake has over 25 years of experience leading Information Technology Strategy, Development and Operations for several public and private companies in the Consulting, Telecommunications and Financial Services industries. Blake holds a Bachelor of Science degree in Mechanical Engineering from Southern Methodist University, and a Strategic IT Management Certificate from the Scandinavian International Management Institute in Copenhagen, Denmark. Blake is currently working on a Master of Science degree in Information Security and Assurance at Western Governor’s University. 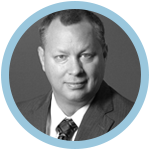 Blake holds a number of industry certifications including CEH, CHFI, C-CISO, CISM and CISSP. In 2011 and 2012, Blake’s efforts were recognized in the InformationWeek 500 listing of the most innovative business technology companies in the United States. In 2011, Ryan was ranked 130th, and in 2012, Ryan’s ranking rose to 98th. In both cases, Ryan was the highest ranked corporate tax services firm on the list. 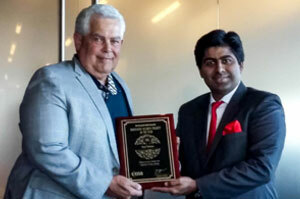 In December 2012, Blake was named by Computerworld magazine as one of its 2013 “Premier 100 IT Leaders.” The Computerworld Premier 100 IT recognition is an international lifetime award that shines a spotlight on technology and business leaders from a broad range of organizations. Outside the world of technology, Blake is a retired Rugby player, enjoys supporting his Rugby Club and the sport of Rugby at every available opportunity. Jorge Mario is a professional with more than 17 years of experience in information technology, information security strategy, information security frameworks, vulnerability assessment, application and network penetration testing (OSSTMM & OWASP), information security awareness programs, consultancy, leader of several regional and global projects. Jorge Mario has sought to strengthen his Information Security knowledge with certifications such as C|CISO, CISSP, CISA, CISM, CPTE CSWAE, Lead Auditor ISO 27001 & 22301, Cobit 5, ITIL v2011. As well as his executive knowledge by studying Masters degrees in Leadership, Business Administration, Project Management, Talent Management, and a PhD in Human Dynamics and Mental Health. Aware that the most important Factor in information security is the Human Factor, he has introduced strategies such as Gamification in his information security awareness programs. Hemant is an Information Security & Risk Management Professional offering 11 years of strong, decisive executive leadership in well-known organizations. He is a continuous learner with a passion for innovation in security risk management to drive bottom-line business contributions (optimizes security investments, avoid losses from security incidents, improve customer retention, enhance business decision-making, reduce corporate liability). At his current role, he is cultivating and leading a highly technical team, incorporating analytical, operational, research & development and vulnerability assessment skills in Information Security Risk management field within the organization. He is an active cyber security evangelist and speaker in various national and International forums. He has executed end-to-end implementation of ISO 27001, PCIDSS & ISO 20000 based projects with various clients in EMEA & APAC. His core competencies encompass information technology/information security strategy, policy and governance, security architecture, risk management, data privacy, vulnerability assessment, penetration testing and application security, ISO implementations and cyber security awareness trainings. Specially Hemant is passionate about cyber security awareness; he conducts awareness sessions for Senior Management, Board of directors, Students at colleges and for corporate employees. 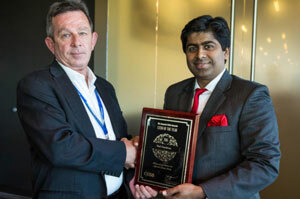 He has won various security awards for his overall contribution in Information Risk Management field. 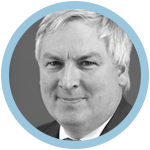 Mr. John Young, an IT Leader with over 20 years’ experience managing teams in the public and private sectors of which two were BAFTA Award winners. Working under the parent company Novamedia, for our charity lottery based in the UK. Novamedia is the world’s third largest contributor to charities.